03/14/09 Ripley completes his UCI International Ch with 4 BOBs a Herding group 1,2,& 3! Congratulations Roxanne and Ripley! 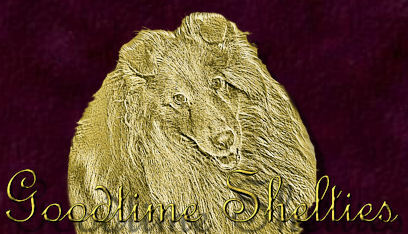 02/20-21 At the IABCA show, Goodie completed his National Ch title with 4 BOB Veteran wins and 1 Reserve BIS Veteran. Tara completed her International Ch with 4 BBE BOBs 4 BBE group 1s and 1 Reserve BIS-BBE, 2 BOB adult and 2 group 2s. Sally completed her International CH also. Every judge gave all of the dogs V1s, the highest award. Spark's son and daughter Pepper and Flame completed their National Ch. Pepper wins 2 BOBs and 2 herding group 1s! 10/26 Nova's pregnancy test is positive, Sally's is negative. 10/3 Spark win Winner's Dog at North Augusta Show. He now has 5 points! 8/10-12-14/09 Spark and Shevaun bred. Possibly tris and sables due 10/12.